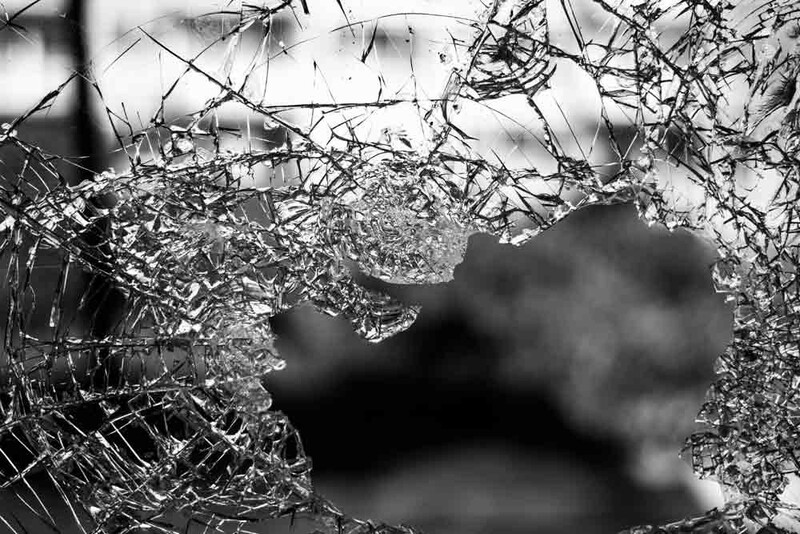 Even on the morning after my mom’s childhood — and the twentieth century — was shattered by Kristallnacht, no one was ignorant enough to blame her windows for the violence. Donald Trump is a horrible person. He led his private life as a horrible person. He campaigned as a horrible person. And he is a horrible president. Much to the chagrin of pundits and prognosticators, Trump’s only pivot has been from bad to worse. This is a man with a Jewish daughter who sided with neo-Nazis. There’s no more need to analyze Trump’s character. The character now being tested is yours. When she was a kid, my mom’s good friend explained that they could no longer hang out because my mom was Jewish. When, during a round-up of Jews in his polish town, my dad’s father and brothers hid in their outhouse, a neighbor told soldiers where to look. Along with these examples, there are countless others that were more or less dramatic. The point is that Hitler didn’t kill my relatives. Hitler didn’t send my dad crawling on his hands and knees into the Polish forest knowing he’d never again see a member of his family alive. Hitler didn’t force my mother’s mom to make a choice which of her three daughters would get to use the two passports available to escape from Cologne to France. Hitler didn’t do it. At least not alone. He needed help. And I’m not talking about the other evil masterminds of modern history’s most repulsive act of mass murder. I’m talking about the neighbors who pointed to the outhouse. I’m talking about the family down the street who told their daughter to stop hanging out with my mom. I’m talking about those who ultimately marched in step with the Nazi party line. And I’m talking about those who were sickened by the specifics of Hitler’s plans, but backed him politically for other reasons — maybe it was jobs, maybe it was economics, maybe it was just ignorance. Looking back, does it really matter? I know, you’re thinking, “It can’t happen here.” Do you think my parents ever thought it could happen there? Don’t get me wrong. This is not the eve of a World War. Donald Trump is not Hitler. But we have, my friends and fellow Americans, reached a pivotal moment in America’s modern history when we each have to make a choice. Are you for Donald Trump, or are you against him? If you’re a Senator and your answer is that Trump’s comments about Charlottesville are repulsive, but you need him so you can get Supreme Court nominees through the process and get your tax plan passed, then you have your answer: You are with him. If you’re a House member who tweets something generic about Nazis being bad and unity being good, but you still treat Donald Trump as the leader of your party, then you have your answer: You are with him. If you work in the White House and you write this off as just another example of an inexperienced politician going rogue, then you have your answer: You are with him. If you’re an executive sitting on one of the White House councils and you released a statement in support of unity and against White Supremacy, but you still stayed on that council, then you have your answer: You are with him. Are you a party loyalist, willing to forgive what you see as a few character flaws in our president in order to get things done; in order to win? Are you the neighbors who pointed soldiers in the direction of an outhouse and sentenced my relatives to death? Are you the person down the street who chose to abandon a friend because she was Jewish? Or are you just a person who feels the broken glass grind between your boots and the sidewalk while thinking none of this has anything to do with you? Well, after today, there are no bystanders. You can’t sit this one out. If you choose not to get involved, you’re involved. If you don’t speak up, you’re speaking volumes. If you’re not against Donald Trump, you’re with him. And if you’re with him, you’re with the fascist maniacs following their dime-store tiki torches into history’s trash heap. My parents have seen enough of this garbage in their lives. They shouldn’t have to turn on the TV and see the ignorant hate they saw in Charlottesville, and they sure shouldn’t have to see the enabling, pathetic, narcissistic stupidity they saw coming out Trump Tower. What they should see is Americans locking arms and standing up to this guy to say enough is enough. After what they’ve experienced, my parents probably aren’t too optimistic. I hope America surprises them on the upside.